In this week's brand new podcast episode I help Masterclass member Steve transition from offering his free online program to a premium paid product. We also chat about how to get testimonials for your brand new program, and how to boost client adherence and consistency to your paid programs and services. It’s another great episode, enjoy! Ru: I'd like to know what you're currently up to day to day? Steve: I work full time at a school in sports. I've always been in the fitness industry, I have a few clients on the side as well, but I've hit a ceiling as to how much time I've got available, which is why I want to go online. I want to step away from my job to take more on through online coaching. Ru: So, the goal is to transition more into the fitness industry, in particular the online business. Ru: What's the big goal for the online side of things, where do you see it going over the next few months? Steve: I just want to grow it, so that it gives me more freedom. My current job has very unsociable hours and it's not something I want to be doing for years. Looking at my future, I want to build something that's going to give me more freedom. Ru: Yeah, I completely agree. I remember when I was doing my engineering job as a surveyor and had to work night shifts on the railways because that's the only time when the trains didn't run. I was out there every single night on the tracks for months, so I can completely relate to you and know that feeling. Okay, where are you with the online stuff currently? Steve: I built the website myself and started writing an ebook and then took five people on for my 6 weeks online program as a free trial. From there a few things come up that I need to nail down before I launch it. The main reason I wanted to get my website done is because I wanted to start putting out content, to be able to write blogs and share them on social media. I wanted to get people onto the website to try and build it up. I heard it takes up to two or three months for the website to start building traffic. Ru: I think there's a general misconception with website traffic and focussing on how well your site gets ranked with Google and search engine optimization. I've studied this side of internet marketing quite a bit and I've realized that if I had hung around and waited for my content to generate traffic, I wouldn't have got the traction anywhere near as to the standard method of bringing people in through some paid advertising. Otherwise, I was just saying to Google, I really hope you improve my business sometime soon. I've put out a lot of content out there over the years, from years from podcasting to written articles and I'll be honest and say my website gets very little traffic as a result from it. We get thousands of visitors every month but it's not driving the business forward. If you have a good ebook download and pop-up for your visitors then the website would convert 5-6% at the best. Whereas if you put the same ebook in front of people on social media using paid advertising you can get a opt-in rate of about 40-50%. Using that method I've been able to significantly grow my audience and not get caught up on the whole SEO thing. Have you got any questions around that or any other things you want to chat about? Steve: From the trial that I did, one thing that kept coming up was the lack of time people have to cook and meal prep. So that was an eye opener form the coaching side of things. Ru: So you didn't enjoy it or what was the problems? Steve: It was people I knew that did the trial, so I felt a few people instantly dismissed any advice and coaching. Ru: With free trials and free coaching, if someone isn't fully investing into it you're never going to get a great response or create great results. I can feel disheartening and demotivating when you give an opportunity like this to your friends and family and then they don't take action on it. They kind of turn a blind eye to some of your key recommendations and this is a big reason why I am a believer in not offering free coaching per say. 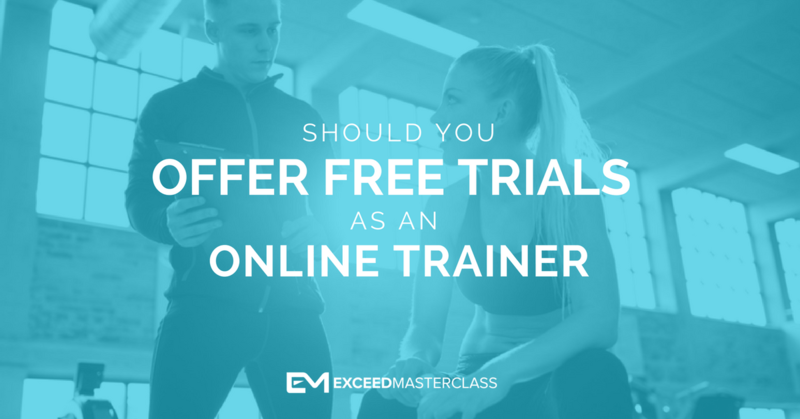 I think a lot of trainers wanting to go online get very caught up in offering a lot of their time and effort for free. I know it was your first time running through the program and it's just about getting some experience but my first online clients still paid for the service. It wasn't a huge amount it was maybe 20 pounds a month but they paid for it. I think there's a big difference in the type of client that you can get when you break the freemium type model. I see a lot of it going on particularly with online trainers. I was even speaking to a Masterclass member earlier and she ran a free eight week coaching program. So, the question can arise, where do you draw the line and ask people to start paying for a service after you've just given them eight weeks of free coaching. This might initially work well when you want to get some testimonials but the problem is that unless you know the people you take on were committed and motived for it, you're not going to get those testimonials because they haven't actually got the result. I think something to look at is moving away from that model and not giving away your time and support for free even if it's just to gain some initial traction. Show the benefits of working with you and paying for that service. Steve: Yeah. I used to run boot camps and it wasn't until I stumbled across Paul Mort years ago and he came up with this boot camp system with an elimination plan. I introduced this elimination plan to my boot camp and got great results form combining the nutrition and training together. But it was quite an aggressive and restrictive diet. It was a good one to get results with but I don't think it's something I'd want to use for everyone. Ru: Have you been able to finalize the program in terms of what you want to offer? Because to me your clients particularly the 'busy moms' and the boot camp type people you mentioned suit a habit based coaching program. Steve: Yeah, I try to work with the habit principles more than a set plan and that was what I used in the free 6 week program. But I also felt it is a constant chase with people. So I'm not sure if this was just a a bad block or what. But I've done done things before with my boot camps and it worked really well and I've got testimonials from those. But I was hoping that with this 6 week program I could get a good bunch of testimonials to put on the website. Ru: Well, there's no problem with using your testimonials that you've got all ready for your online program because those testimonials are about you. People can say you are the best coach in the world or that the achieved X results when working with you, that's completely fine. As long as you're not lying and saying these results were achieved with your online program, that's cool. If you phrase it correctly then I think it's great way of presenting the offline testimonials and using them for your promotions and marketing. Then once you get more testimonials from the online program you can put them in as they will be more specific to the online program. That is how I would start with the testimonials. Steve: Yeah, I'll give that a go. So is a few people going the same sort of way with regards to the target market of home workouts? Ru: Yeah, I think there's definitely a demand for the home workout side of things with the 'busy mom' avatar. Although I think they're still pretty underserved niches. I think a lot of niches online in the fitness industry are pretty underserved because personal trainers and coaches are struggling to make that transition online and getting everything set up, looking and performing the way that they want. Therefore there are very few people who are genuinely taking hold of the marketplace. I think that's a real opportunity for guys like yourself who are taking action and working towards positioning yourselves early on. Because I feel the online stuff is still fairly new to the fitness industry. So, yeah I think it's a good market place to be in and definitely you've done well niching down and not just being the jack of all trades. Steve: I big into weight myself and when I originally started I was putting that sort of stuff on Facebook but it was getting no traction. I then looked at the demographics of my Facebook page and it was 85 percent women aged between 20 to 40. So putting information about deadlifts and squats wasn't really great. After that, I decided to post a kettlebell session on the beach and the engagement instantly changed. Ru: Yeah, it's an important learning curve what you've seen there from your social media already. Definitely Facebook insights is an eye opener, it's amazing. I'd also recommend that you use it for extending your audience. 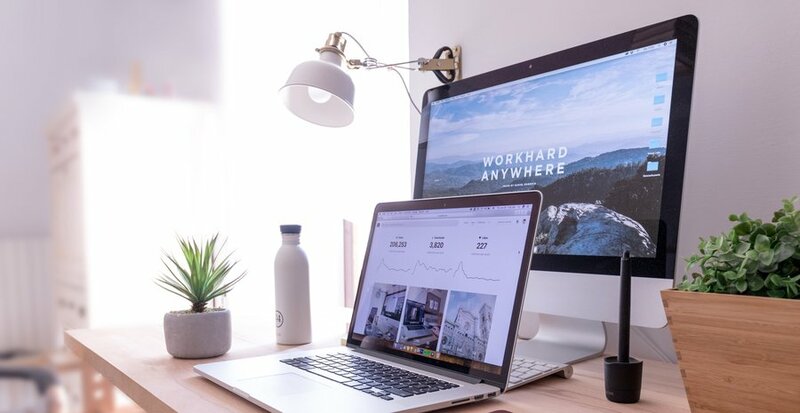 So, not only can you get the typical demographics about your own pages but you can also check some of the other big pages that may be similar to yours. That can be a complete game changer and save you a lot of money and time. You've seen this in terms of the social media aspect but that same principle of appealing to your ideal client must then come through to everything that you're creating online. You've said yourself that your trial group was mostly friends and family, which is fine. That was exactly the same way I started but the difficult thing now is, how do we actually grow this and get people onto the program who don't quite know who we are? In my opinion one of the core focus points to doing that is making sure that every touch point you have with someone in your online business from social media right through to your website, emails and the language that you use, appeals directly to that ideal client. And all of those touch points need to be great because of something's off, then it's like putting a sledge hammer through the whole process of getting someone to that end point, which is joining your coaching program. So that's definitely something you want to have a look at. You've seen already with your Facebook page, so if you're finding any bottlenecks in certain places it's definitely worth looking at. Steve: With the Masterclass, how do you recommend working through it, would you start with the nutrition and habit courses first before going on to the business courses and materials, or would you just try to merge all of them? Ru: I know, it's a lot of stuff and you just want to dive into it all and absorb it. We've got the habit coaching system, we've got the advanced nutrition course and we got the complete business builder course. If your primary reason for joining the Masterclass was to improve the business then I would recommend that you start with the business builder program. What you'll find is that a lot of the road maps and project plans for each of the different phases interlink with the nutrition and habit stuff anyway. For example you come across the habit system and some the advanced nutrition lessons when I talk about coaching and setting up your programs. Going by where you are with the online stuff I think starting right back in the planning phase is a good idea. Even though you are pretty clear on who you want to work with just get through it and confirm with yourself that you've got everything covered. After that I think you want to start pushing forward with getting your offer out there to people who don't know you exist right now. Of course, you want to put it out there to your network and audience but ultimately to really grow the online business, the more attention that you can command and a lot of that's going to be done through advertising on channels like Facebook, the more you can start to have those touch points with people who didn't know you before. Steve: Do I need a good couple of hundred subscribers before launching? Ru: There's a couple of different ways of doing it and the way to market it depends on the type of program that you want to offer. For example, if you wanted to offer a one to one, personal coaching service then one of the best methods is to put an application form out for people to apply. I've got training inside the Masterclass for that type of model and program, so I can point in the right direction if that's what you are looking to do. On the other hand, if you want to offer a less personal group coaching type program then I would suggest that you sell it slightly different and e-mail marketing would be a fantastic approach to that. The program is one to many so you want to market it one to many as well, because its likely going to be a bit cheaper. I've also got the training in the Masterclass on how to do that. So, once you had a think about what you want to offer let me know and I can point you towards the right training. Ru: Alright, well make sure you reach out to me in the Masterclass, use the personal coaching thread and I'll jump in there to answer any questions.